This clever storage system provides a simple solution for storing metal dies. 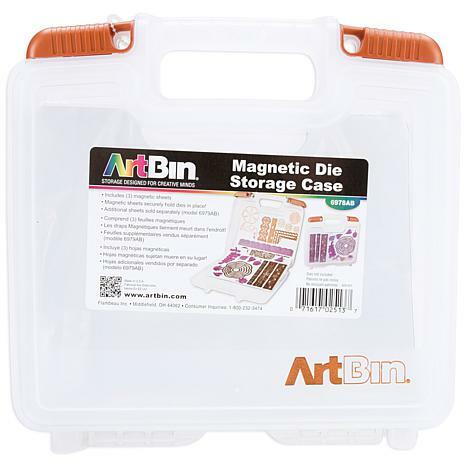 These magnetic sheets securely hold dies for easy viewing and safe storage. Simply place a die on the magnetic sheet and it will be securely held there until you are ready to use it. 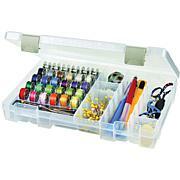 Store the sheets inside the case and your metal dies will always be organized and contained. The case is made of translucent plastic and two sliding latches keep the lid securely shut. Overall measurements of the case are 9.25x10x2.75 inches, the magnetic sheets measure 9x7 inches. Each case will hold 21 magnetic sheets (with dies). 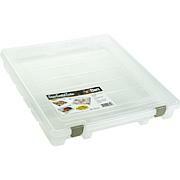 The case easily fits into totes and rolling carts.This package contains one storage case and three magnetic sheets. All dies sold separately. Imported. This holds my dies nice and neat. I bought extra extra magnetic sheets so I have lots of room. 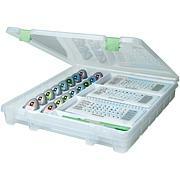 I love this for organizing my dies. I can't imagine a better way to do that. Sturdy case and strong magnet in the folders. Holds dies very well. I love this product just wish HSN would offer extra magnetic sheets as a separate item. There is plenty of room in the case for more sheets. I just need a larger area to store my dies. 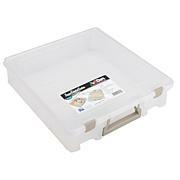 I will be returning 2 of these I purchased, and buying a die holder portfolio.